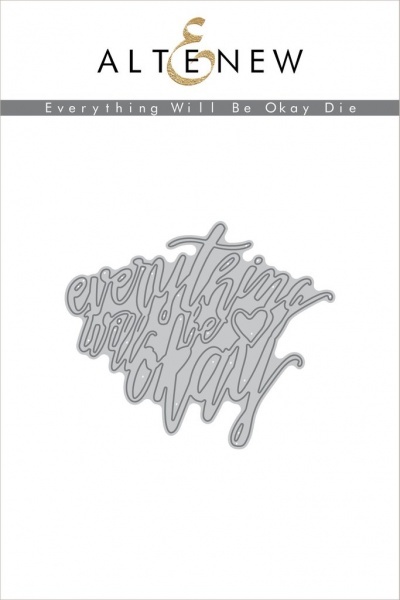 Enkeltstående die fra Altenew med teksten 'everything will be okay'. Brukes i en stansemaskin (for eks. Big Shot) for å stanse ut eller prege/ embosse. Inneholder én enkelt die som måler ca 10,0 x 8,5 cm. 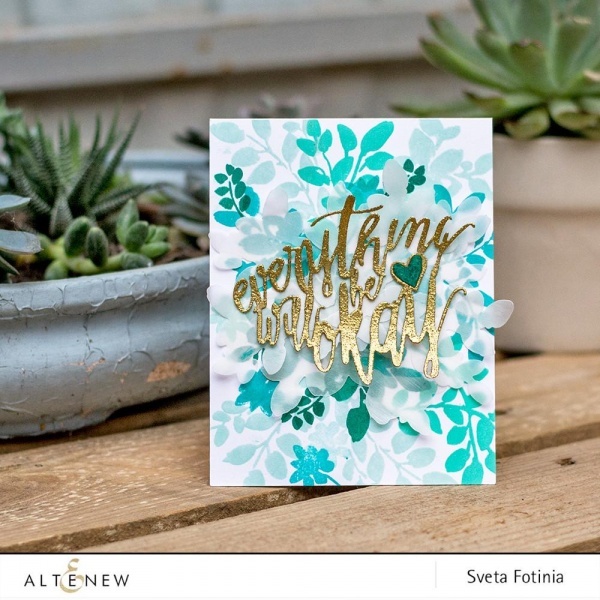 This die set coordinates with our Floral Sprig stamp set but can be used as a stand-alone die as well. 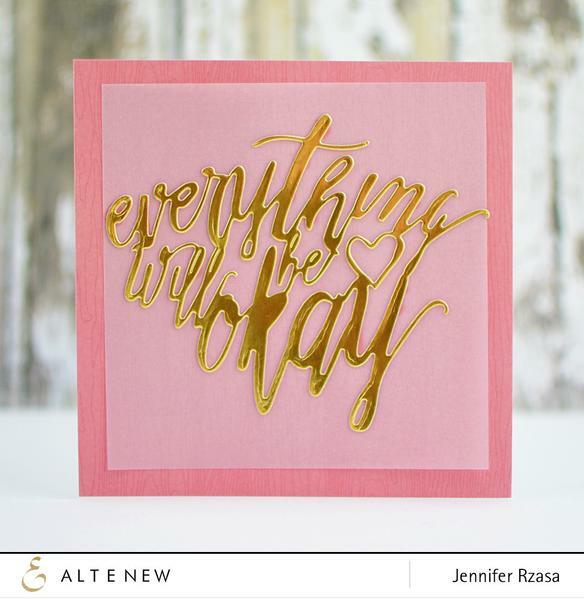 This is designed to be bigger than the sentiments in the stamp set. There is a total of 1 die in this set. The die measures about 3.93" x 3.33".